We're going to be real, a lot of these odd (and possibly totally unintentional) details whizzed right over our heads back in 1999. Here's a video look at a handful of random things you may not have noticed from The Matrix. Cobbled together by YouTuber Rob Ager, we truly enjoyed this short, odd retrospective. 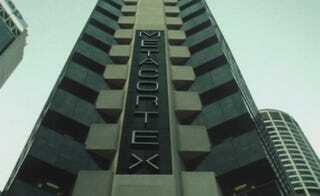 Sure the "Metacortex" building is in reality the Metcentre, in Sydney. But you have to think the Wachowskis picked it for a reason? No? Not all of these pan out, but it's still fun to go back and think on The Matrix a little. As for the phone books being in BOTH the Oracle and Neo's offices, yeah, I got nothing. They're props? Have fun.